BRISTOL, United Kingdom (18th of March 2013) ATLUS, PQube and Zen United today announced that Persona®4 Arena™ – the hugely-anticipated sequel to the award-winning Persona 4 role playing game – will be making its way to Europe on Xbox 360® video game and entertainment system from Microsoft and Sony PlayStation®3 on 10th of May 2013. Pre-order customers for Persona 4 Arena will receive an exclusive Limited Edition bonus content pack, including the Official Arranged Soundtrack with exclusive artwork and Digital Fan Pack. These will be strictly limited to pre-ordering customers and will not be available past day-one sales. Persona 4 Arena tells the story that follows on from the critically acclaimed Persona 4 Golden, and is itself the winner of numerous awards, including Fighting Game of the Year 2012. Persona 4 Arena is a collaborative effort between two genre masters – Arc System Works and ATLUS, bringing together their individual expertise in stunning, high definition 2D artwork and exemplary storytelling. · 13 playable characters, each with their own individual story campaign. · A story mode comparable to the JRPG series with over 30+ hours of story gameplay – which continues the events from where the PS Vita Best seller, Persona 4 Golden, left off. · Innovative fighting system, where players battle with both their chosen character and their Persona simultaneously. · Exceptional suite of tutorials and challenges, as well as an innovative and easy to use combo system – making Persona 4 Arena one of the most approachable fighters of this generation. Please look forward to more exciting announcements surrounding Persona 4 Arena in the coming weeks. 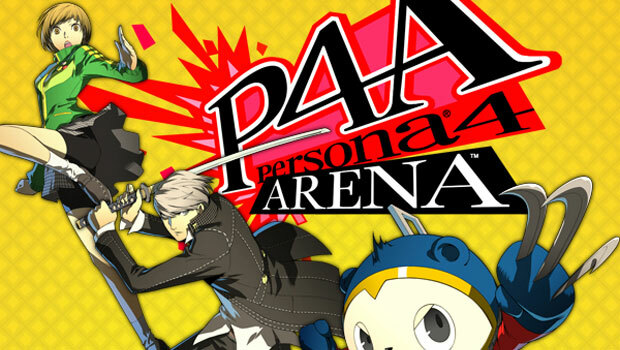 Persona 4 Arena is scheduled to release on Xbox 360® and PlayStation®3 in Europe on 10 May 2013.